In ther 1990's Mark used to race all over the country with Greg Lambert. They also raced in Holland, and raced in British championships. 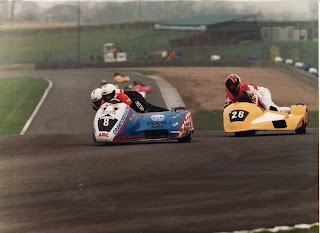 This was taken at Donnington in 1998.